This item has been discontinued by the manufacturer. Please see the AC/DC Charger Adapter or the DC Power Cord for a suitable replacement. Please note: The AC Power Cord is no longer necessary for the newly redesigned AC/DC Charger Adapter. 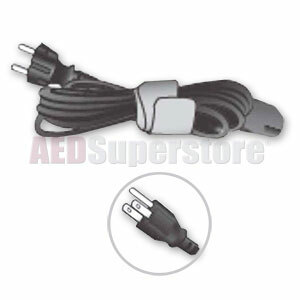 AC Power Cord (US) for use with the LCSU4 Suction Units (88005101 & 88006101) by Laerdal.